AKC Canine Good Citizen/Alliance of Therapy Dogs, Inc.
Pend Oreille Veterinary Service has been a vibrant part of the Sandpoint and larger North Idaho community and a trusted leading provider of advanced veterinary care for more than 50 years. Caring for your pets from the inside out not only includes yearly visits to your veterinarian. At Pend Oreille Veterinary Service we understand that injuries and illness often happen outside of scheduled clinic hours. We pledge to provide a safe, loving and fun "home away from home" for your pets because we consider them part of our family! 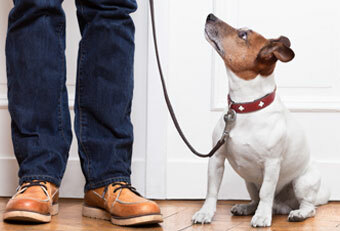 Training and socializing your pet not only makes life easier, but it also helps your pet feel safe, secure and happy. Service, it's in our name. Our pet stores have what you need....or we'll get it! We're your pet's one-stop-shop! 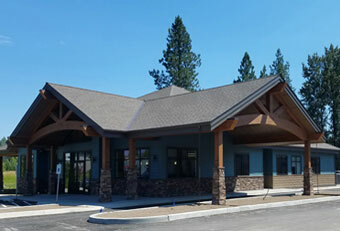 Pend Oreille Veterinary Service has been a vibrant part of the Sandpoint and larger North Idaho community and a trusted leading provider of advanced veterinary care for more than 50 years. Because we know your pet is a special part of your life, we care for each patient as part of our extended veterinary family. We offer the most advanced care possible for your pet in Sandpoint, using cutting edge technology and top-rated veterinary services. With one central Sandpoint location, 24-hour and on-call vet service and eight fully accredited veterinarians, we offer the most complete veterinary hospital care in the area. Additional veterinary groomers and vet trainers give us the people power to serve you and your pet with a range of services. Our Sandpoint pet lodge provides safe, dependable short-term boarding for your animals and peace of mind for you while you travel. We look forward to working with you to exceed your pet's medical, boarding, lodging, training and grooming needs. 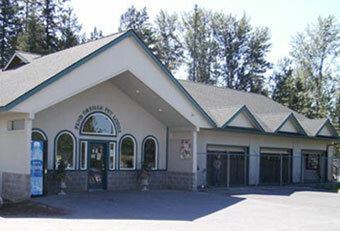 Visit our friendly staff at our all-inclusive, state-of-the-art Sandpoint pet facility. MISSION STATEMENT: "At Pend Oreille Veterinary Service, we pledge to provide excellent and unparalleled service to our clients, compassionate and cutting edge medical care to our patients and commitment to our community since 1964 and far into the future." Spring has sprung! Is your pet protected?